Some assumptions can negatively impact your teaching practice. We have a few tips to combat three common ones. Assumptions. We all have them. We carry them into the car, into the classroom, into work. 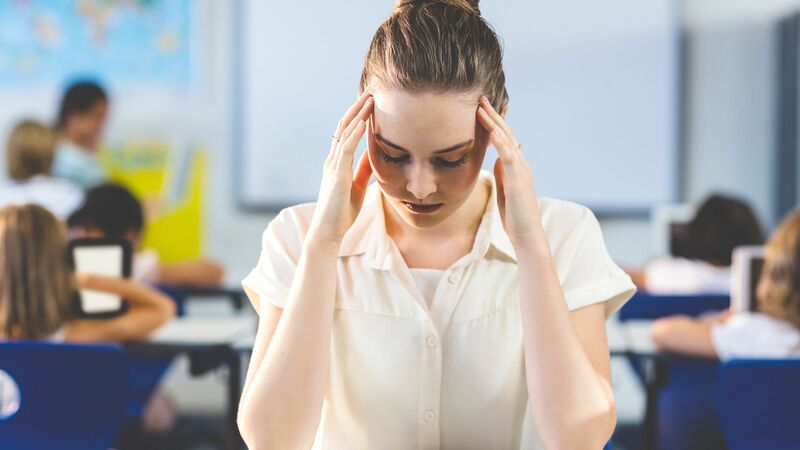 In working with teachers, both new and veteran, I have also found that some assumptions—particularly those that pertain to ourselves and to our students—can cause frustration, leading to burnout. Beliefs we have about how we should operate or how students should behave can sometimes cloud our vision, preventing us from seeing who stands before us. Luckily, if we’re aware of these assumptions, we can work to counteract them. 1. I should know this. No matter how well the lesson is planned, no matter how many times you’ve taught it already, the class in front of you is a new group. Their needs are different from those of the last class. So every year involves some relearning how to teach them. Their culture changes, their lives and families change, and you change, too. Demographics change, standards change. Stasis is not the norm. Knowing your content is not the same as understanding your new students. In other words, knowledge is not insight. Both are essential for effective and compassionate teaching. You might also find that you do need to relearn the content. You’ve taught the Fall of Rome before, for example, and your unit is laid out, ready to go in Google Drive. But you find, as you begin preparation or instruction, that you must study the causes again, that some of the anecdotes you told are forgotten. The facts are rusty, but the details return as the lesson unfolds. Let me tell you something: The teaching mind is full, a Ferris wheel of moving parts that rise and fall, come and go. That you have forgotten some details is a sure sign of efficiency, that the carnival ride attendant is alive and well. A way around this? Preview the unit, keep summary notes, and trust that once you dive back into teaching it, the “aha!” of recognition will return. 2. The kids should know this. Dr. Anita Archer calls this “committing assumicide.” An example: You’ve just rolled out a lab that involves measurement, and it’s suddenly become evident that students don’t know how to use rulers. Students can’t distinguish the increments and lines, and the lab is taking an unwelcome turn. It’s common at this point—and I say this with empathy and self-recognition—to shift blame onto prior teachers, to blame the students, to point at poverty, culture, the state of education funding. Our sense of being overwhelmed becomes a frustrated arrow back onto the world. But the point, the heart of this, is really: What will you do? To pause and teach ruler use at this moment would be a strength, not a failure. Set aside the pacing guide and see what students need, at this moment, here and now. Reality and the present moment are your friends, and along with support and conscientious practice, they will help you and your students grow. This pause, if we can really pause, offers an opportunity to note our progress, our current state, and plan next steps. And it’s important to temper this reflective state with self-compassion, noting honestly where we’ve stumbled. In David and Goliath, Malcolm Gladwell considers how even repeated failures may be an essential part of growth. Errors are where we develop stamina and where we practice choosing to begin again. Find time to reflect: Talk, write, read, slow down. Ask questions: Who are my students? What kind of teacher do they need me to be? Shifting the focus from ourselves to our students can better inform our next steps. Practice self-compassion: Even slow learning is learning. Your pace is yours. Practice mindful breathing and kind self-talk—they will help you see what’s in front of you and make more effective choices. Enlist help: Call a friend, talk to a colleague, seek the help of a coach or trusted peer.